Tonight, Le Cirque is offering a deal that can't be beat! 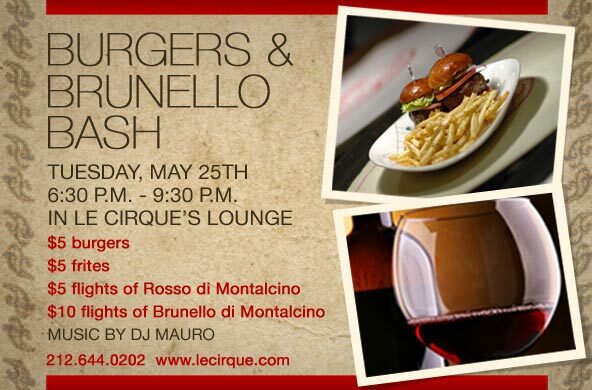 From 6:30PM - 9:30PM, swing by the bar/lounge area for $5 burgers and $5 flights of wine. Check out all the details below. Enjoy!